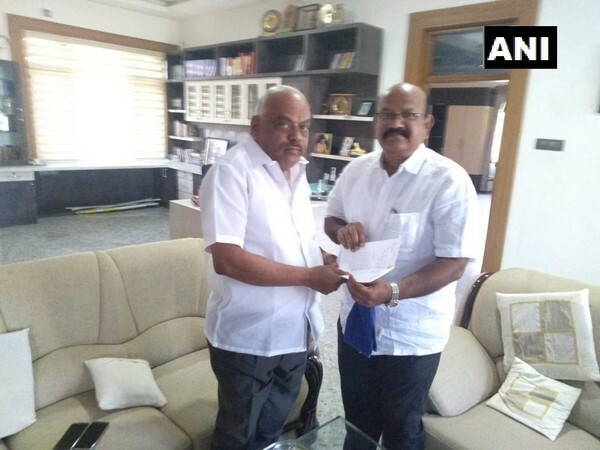 Bengaluru (Karnataka) [India], Apr 1 (ANI): Karnataka legislative assembly Speaker KR Ramesh Kumar on Monday accepted the resignation of former Congress MLA Umesh Jadhav. The MLA had submitted his resignation from the membership of the Assembly on March 4. On March 13, Karnataka BJP chief BS Yeddyurappa said that Umesh Jadhav will contest elections from Kalaburagi against Congress leader Mallikarjun Kharge. However, the former Karnataka chief minister also said the final decision will be taken by the party high command. Jadhav, a two-time legislator from Karnataka's Chincholi constituency, was among the three Congress MLAs who went "missing" last month. Subsequently, Congress had recommended their disqualification to the assembly speaker. Seven-phased elections in the country will begin on April 11 and will go on till May 19. Counting of votes will be done on May 23.